UPDATE—Qteros and ACT plan to build a demonstration plant for capturing wastewater solids and turning them to ethanol, then seek wastewater plants that want the fuel to sell or power on-site operations. Recyllose – it sounds so much nicer than recovered sewage. But that's what it is, and Applied CleanTech, the company that makes it, thinks it could make a fine biofuel feedstock. To prove it, the Israel-based commodities recycling company has teamed up with Qteros, a Marlborough, Mass.-based developer of microbes that turn cellulose into biofuel. The two companies have been making ethanol from wastewater solids at pilot scale, Jeff Hausthor, co-founder and senior project manager of Qteros, said Tuesda. Next up is a demonstration plant, though the location, cost and production levels for that plant haven't been set yet, he said. Qteros plans to license its microbes and ACT will build the systems to capture and produce Recyllose, Hausthor said. If the demo plant proves successful, the partners hope to sell systems to municipal wastewater plants that could sell the resulting ethanol or use it for on-site power, he said. It's yet another play at turning sewage into useful products. Companies are mining wastewater for nutrients and minerals, as well as turning it into power through a variety of technologies (see 11 Great Things to Do With Sewage). As for Recyllose, Applied CleanTech says it's easier to turn into biofuel than most plant wastes, which have more hard-to-digest lignin in them. Qteros' microbes can convert one ton of Recyllose into 120 to 135 gallons of ethanol, about a 20 percent improvement in efficiency over using higher-lignin feedstocks, the companies said. A 150-million gallon-per-day wastewater facility – that's about two million people's daily flushes – can serve the needs of a "smaller-scale" ethanol plant, ACT President Refael Aharon said in a written statement. The companies didn't say how big that smaller-scale plant might be, or at what prices it would have to sell its biofuel to be profitable. 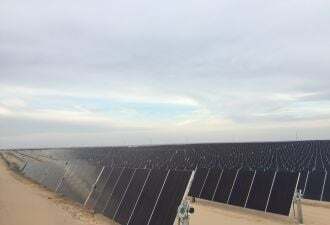 But it should be profitable at a scale much smaller than the 20 million to 30 million gallon-per-year range often cited for commercial-scale production, Qteros' CEO William Frey said in a written statement. Qteros says its microbes work without enzymes, which cuts costs (see Q&A: SunEthanol CEO William Frey). Like fellow biofuel-making microbe startups Codexis and LS9, Qteros has taken money from the oil industry. The company, formerly named SunEthanol, raised $25 million in November 2008 from investors including BP (formerly British Petroleum) and George Soros' investment firm. Frey, who joined the company in 2008, is a veteran of DuPont (see Funding Roundup: The Art of Fundraising). Given the high costs associated with building a plant, more and more companies are partnering up to supply pieces to the cellulose-to-biofuel puzzle (see The Anticipated Market for Feedstock Sugars Takes Root). 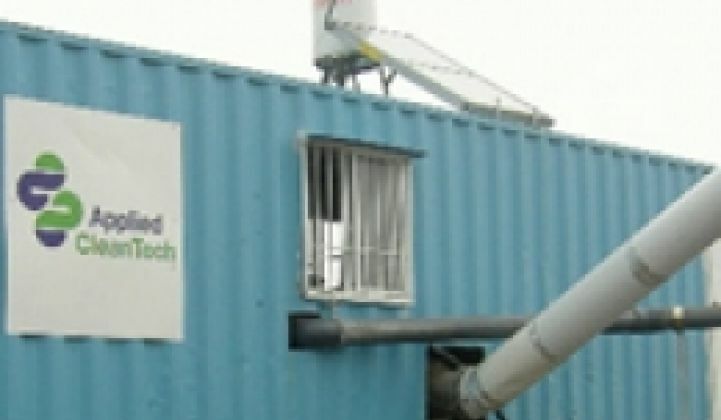 For example, fellow Israeli company HCL CleanTech recently raised a reported $5.5 million from Khosla Ventures and others to work on its technology to turn cellulose into sugars using hydrochloric acid (see Green Light post). As for ACT, it said it has spent six years developing its Recyllose technology and is producing it at wastewater plants in Israel and the United States. Biofuel makers are hoping to meet federal mandates that call for 16 billion gallons of cellulosic ethanol by 2022 (see Feds Propose Controversial Biofuel Mandate, Offer $800M to Boost Production).